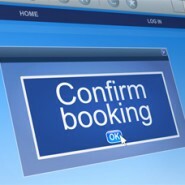 The Booking Manager is the very heart of CABS as an operational system. It includes everything you need for a fully operational booking system and is required for all CABS implementations as it plays a central role in almost every other activity you need to manage. Most users start from the interactive diary where you can just click and drag on the diary view to create a new booking. This is the same diary view you use to see other bookings, recognise the current status of each, mark them as started or ended, and check other key information simply by hovering your mouse over or right-clicking a booking. The diary view also reveals details of room capacities (according to different layouts), xyz, abc, etc but you’ll probably be pleased to know that the CABS Bookings Manager is more than just the diary though. Read more about what you can do with the CABS Booking Manager below.